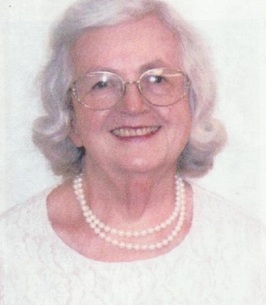 Dorothy Maxine Laycock went to be with her Lord and Savior on November 11, 2018 following a lengthy stay at Lexington Country Place. Dorothy was the daughter of John E. and Hazel Link Laycock; the granddaughter of W. Fred and Maxine Insko Link and William and Sophie Laycock and the sister of Fred Laycock all of whom preceded her in death. Dorothy graduated from Paris High School and attended Colorado Woman’s College, Denver, CO. She earned her Master’s Degree and Rank 1 from the University of Kentucky and worked on obtaining her Ph.D. She was a member of the Chi Delta Phi and Gama Theta Epsilon and Scribblers (Theta Upsilon) all above with honors. She was Past Matron of the Order of Eastern Start Chapter #167, Past High Priestess of White Shrine of Jerusalem Past Noble Grand of her local Rebekah Lodge, Past President of Kentucky Association Ladies Auxiliary Patriarch Militant; Past President of the Rebekah Assembly of Kentucky, and Past President of the International Association of Rebekah Assemblies. Paris Board Chairman for Christmas Children’s Program, Kentucky Colonel, Head Academic Coach for Harlan High School, Chairman of the Junior Beta Club of Harlan High School (organizing it) and Past member of Harlan Library Board. She was also a member of the Independent Order of Oddfellows Encampment Lodge, Odd Fellows Lodge and Patriarch Militant Branch of the IOOF in North Carolina. Dorothy belonged to the Retired High School teachers and was given the distinction and reward for best teacher in Harlan High School. Services are to be held on Friday, November 16, 2018 at 2:00 p.m. at Hinton-Turner Funeral Home with visitation being at 12:00 noon until time for the service. Interment will follow at Paris Cemetery. Although quiet and reserved, Dorothy was a loving and kind woman – loved and respected by all who had the pleasure of knowing her. In lieu of flowers, donations may be made to IOOF Education Fund, Educational Foundation, R. Kenneth Babb, Executive Director, P.O.B. 20155, and Winston Salem, NC 27120. To send flowers to the family of Dorothy Maxine Laycock, please visit our Heartfelt Sympathies Store. Dr. Charles E. Worrel, Sr.
We encourage you to share any memorable photos or stories about Dorothy . All tributes placed on and purchased through this memorial website will remain on in perpetuity for future generations. Odd Fellowship has lost another of our great leaders and friends. While sad at the loss, I hold dear the memories of the hours I got to spend with her during the Testimonial Weekend for K.D. Toney. Her wisdom and caring spirit I shall never forget.